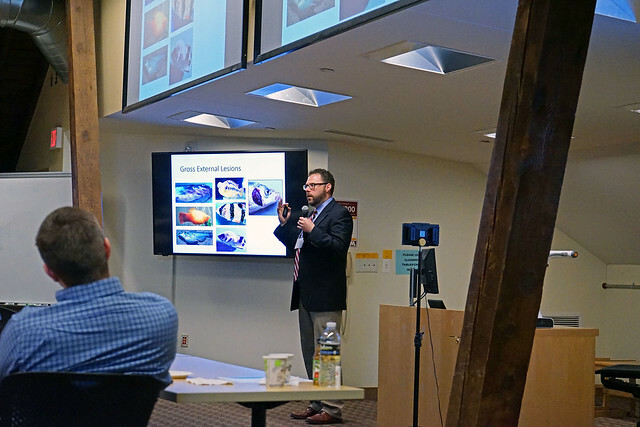 The fourth annual Minnesota Aquaponics symposium took place this past Tuesday, April 24 in St. Paul on the University of Minnesota Twin Cities Campus. The event featured four expert presentations on key topics in aquaponic production, followed by hands-on demonstrations to learn skills in water quality testing, fish health assessment, and plant health production. CAHFS extends many thanks to the presenters and groups that made this event a success, including presenters Alex Primus, Matthew Smith, Marie Abbey, and Lee Scoggin; supporters Nick Phelps, Neil Anderson, Jessica Coburn, and Michele Shermann; and sponsors including the North Central Regional Aquaculture Center; the College of Food, Agricultural and Natural Resource Sciences; the College of Veterinary Medicine; University of Minnesota Extension; and the Ohio State University. Presentations and student posters from the event will be available soon on the Aquaponics website, and an email will be shared with video and educational materials as soon as they are made public. You may also download the event program to find presenter biographies and research poster executive summaries. 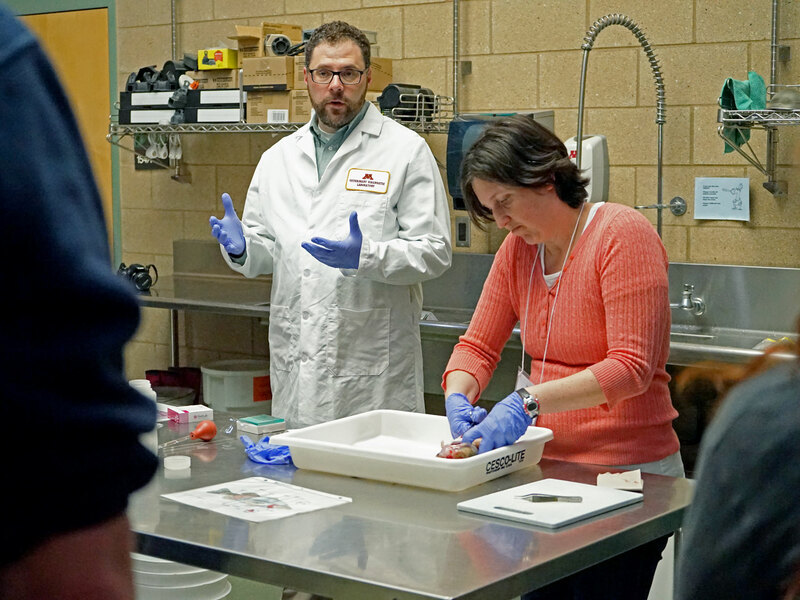 Photos from the event can be viewed on the CAHFS Flickr album Minnesota Aquaponics Symposium.